Thank you so much for helping us make a difference in the lives of those in need in Chilliwack. Below is a list of the main items that are needed in order to make this day a success. 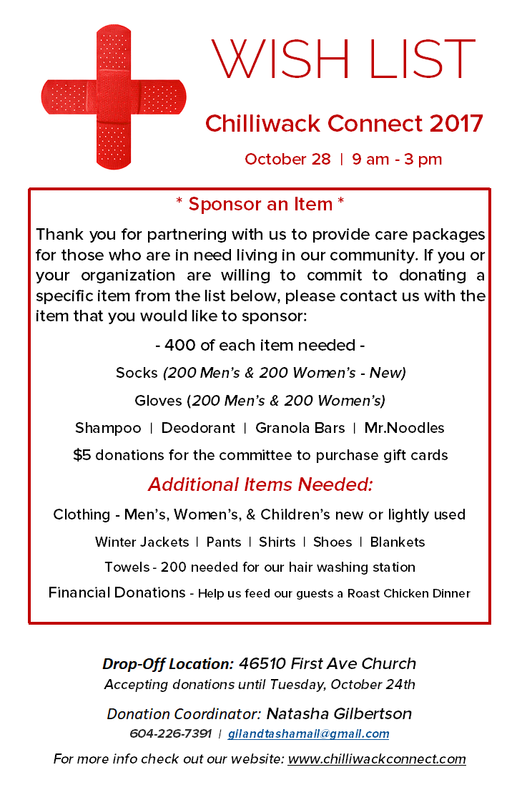 If you would like to make arrangements to provide any of the following items please contact our donation coordinator.